A couple years ago, one of our grooms called off his engagement just eight days prior to the wedding. Eek! By that point, everything for a wedding has been ordered and paid for, so unfortunately, it's non-refundable. So the groom's family decided to make lemonade out of lemons and have a big ol' party, without the whole marriage part. It was awkward, yes... But you know what would have been even worse? That poor bride and groom marrying each other even though they were unhappy together, and then getting a divorce a few months or years down the road! Weddings are expensive, y'all... But getting a divorce is even more pricey! *Think it through. Don't make any impulse decisions. If you truly, REALLLLYYYY don't want to marry the person you're engaged to, the right thing to do is call it off. It will be messy and painful. Be as kind as you can. And have the decency to let them know before you tell anyone else. *Call your venue and vendors! Nothing like your photographer showing up to find out your wedding has been cancelled. Yikes! *If your wedding details are non-refundable, consider going ahead with an awkward-but-unforgettable party... One last hoorah before you go your separate ways. It'd be uncomfortable, but at least you didn't totally waste thousands of dollars! *Let your guests know that there won't be a wedding. Can you imagine the painful awkwardness when a guest shows up to your venue, all dressed up and ready for a romantic ceremony and reception, only to find out that it's been called off?! I'm cringing. Fill them in, pleeeease! 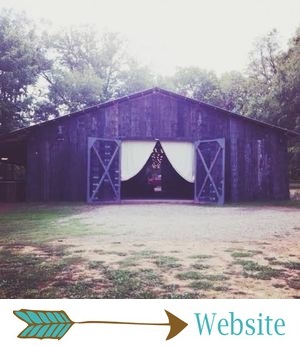 We hope none of you ever feel the need to cancel your wedding, but if you do, there are ways to make this sucky situation as painless as possible!